Last week was the 4th week of the 2019 legislative session. There are 14 weeks remaining in the regular session. REDUCING PAPERWORK FOR TEACHERS – The Senate passed S. 168, a resolution directing the Department of Education to recommend steps to reduce and streamline the paperwork requirements on teachers and schools. The resolution is designed to address one of the concerns we often hear from teachers: government requires teachers to spend too much time on paperwork and, consequently, reduces the time they can devote to classroom instruction. The bill now goes to the House of Representatives. CAPITAL PUNISHMENT – As I mentioned in a couple updates last year, South Carolina is currently unable to carry out executions because the Department of Corrections cannot buy the drugs required for lethal injection. Because of pressure from death penalty opponents, pharmaceutical companies will not sell us the drugs. The Senate passed legislation last year to address the problem, but the House was unable to consider the bill before the session ended. Therefore, last week the Senate passed S. 176, a bill that would allow the Department of Corrections to use electrocution or firing squad to carry out death sentences if lethal injection is not available. The House will now consider the bill. SANTEE COOPER – In the wake of the abandonment of V.C. Summer Nuclear Station by SCANA and Santee Cooper, there has been a good bit of discussion about the future of the state-owned utility. A joint committee of House members, Senators, and Governor McMaster has focused on options to sell all or parts of Santee Cooper to a private utility or allow a private utility to manage Santee Cooper. To help with that effort, the joint committee hired a consulting firm to talk with interested private utilities and accept bids. The consulting firm released its initial report last week. You can see the report here. SCANA / DOMINION – Several people have asked me about Dominion’s effort to acquire SCANA. As you recall from last year’s updates, the legislature spent a lot of time last session on this issue. 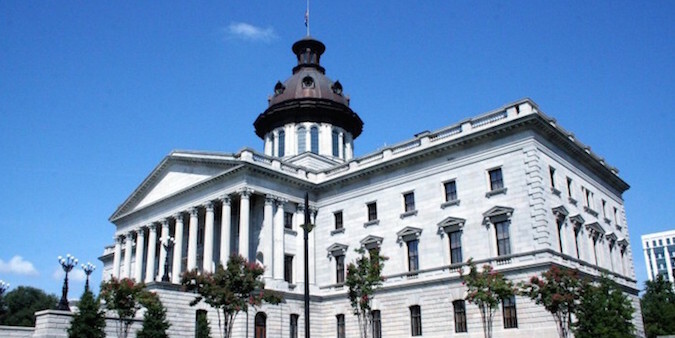 In late June, the General Assembly passed several bills that temporarily reduced SCE&G’s rates, strengthened state regulators, and repealed the Base Load Review Act. The legislature also gave the Public Service Commission (PSC) until the end of 2018 to make a decision on whether Dominion could buy SCANA. The PSC held a hearing the last several days in November and issued its order in late December, allowing Dominion and SCANA to complete the merger. That order guaranteed that SCE&G customers would continue paying for the failed nuclear reactors for 20 years, but at a much lower rate than SCE&G and Dominion wanted. However, that deal does not include the $1,000 rebate Dominion advertised repeatedly throughout 2018. The end result is not as bad as it could have been, but it also was not nearly as good as it should have been. I think customers deserved better than that result, and I did not support it. MEDICAL MARIJUANA – I have received several emails about medical marijuana legislation that was recently introduced. I have not made a decision on this bill, as it has yet to be debated in committee. You can read the bill here. WILD TURKEY HUNTING SEASON CHANGES – In 2015, the legislature approved legislation to change the turkey hunting season for male turkeys to March 20 – May 5 and set a uniform, statewide bag limit of 3 male turkeys per hunter per season. At the same time, the Department of Natural Resources ordered an extensive study of the turkey population. That study was recently completed, and DNR is now recommending additional changes to the hunting season and bag limits. You can read DNR’s report here. I will keep you updated as to any changes that go into effect. On Thursday morning, I joined Senator Nikki Setzler, the Democratic Leader in the Senate, on ETV’s television show, “This Week in South Carolina” to talk about this year’s legislative session. The show aired on ETV stations on Friday night. You can watch the 30-minute show here. On Saturday night, I was pleased to received the South Carolina Sierra Club’s Legislator of the Year Award. The Sierra Club and I often disagree, but we were eye-to-eye on protecting customers from the fallout of the VC Summer debacle last year.